Ice, at times translucent, opaque and often almost invisible, is in a constant state of flux. In glacier form, it is melting, growing, compressing. From liquid to solid, ice holds our planetary history in its transparent layers and informs the future based on the past. 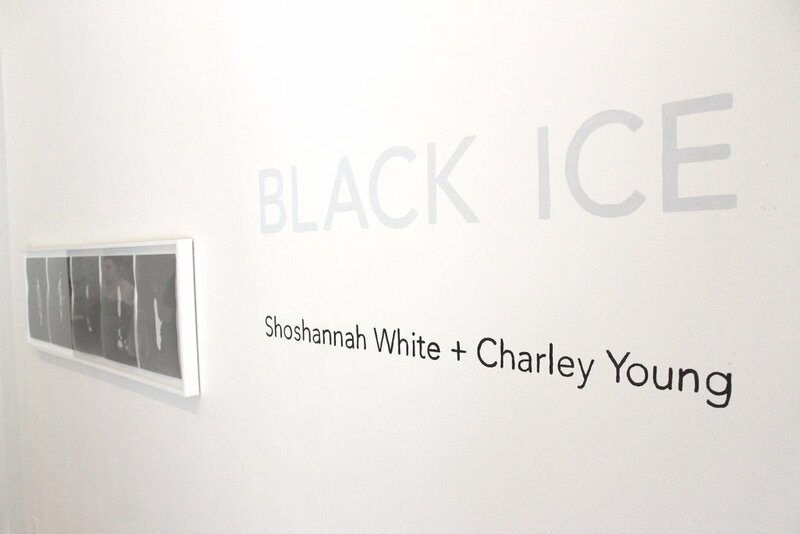 Black Ice has developed from travels by White and Young, both separately and together. White and Young traveled 18 months apart to Svalbard, Norway via the Arctic Circle Residency Program, a three-week sailing expedition bringing artists and scientists within 1300 km’s of the North Pole. The two artists later traveled together to Prince William Sound, Alaska to further develop work based on the contingent and ever changing landscape of the northern regions. 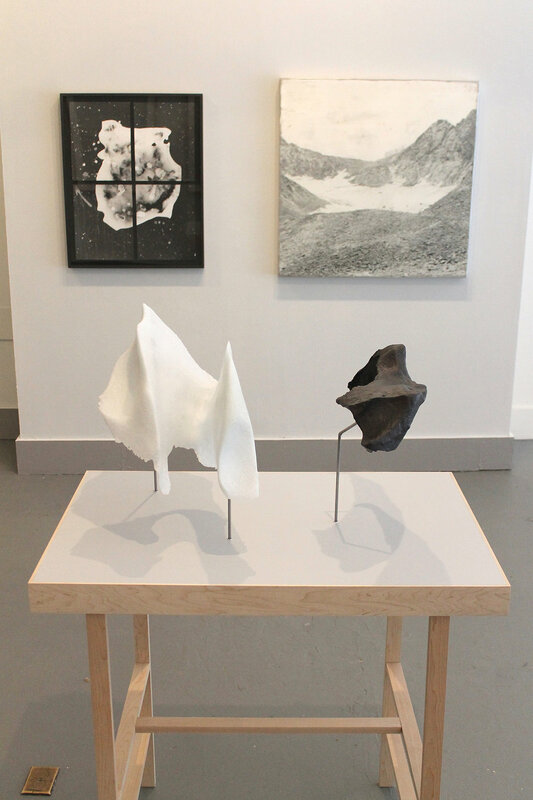 Working with glacier ice and methods both tactile and direct, the work suggests different reflections on the same abstracted landscape, both touched and fleeting. Created site specifically, Swell documents the textural surface of ephemeral icebergs through the process of frottage. 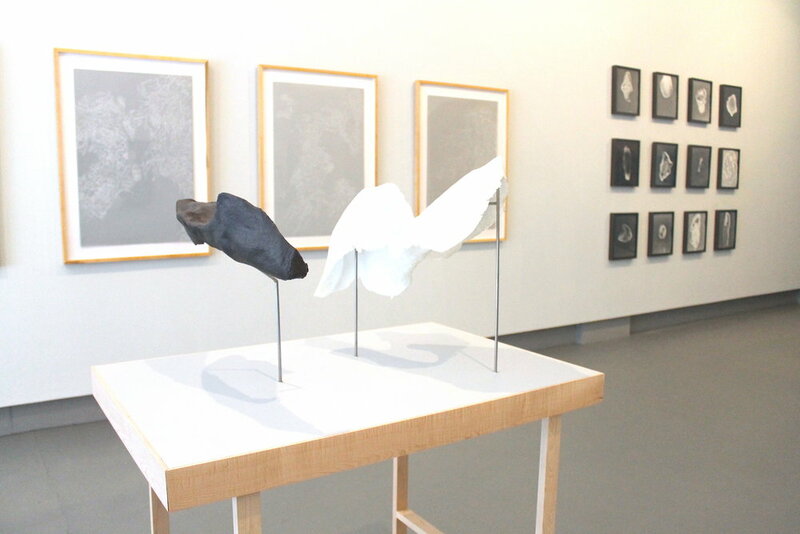 Created as a resident with the Arctic Circle Program, these works were created in situ in Svalbard, Norway within 1300kms of the North Pole. Created from ice sourced from the waters of Prince William Sound, Alaska, theses sculptures were cast from melting ‘growlers’-ice recently calved from tidewater glaciers. This work indexically records the shape of this melting glacier ice. These projects are made possible by the generous support of Arts Nova Scotia.